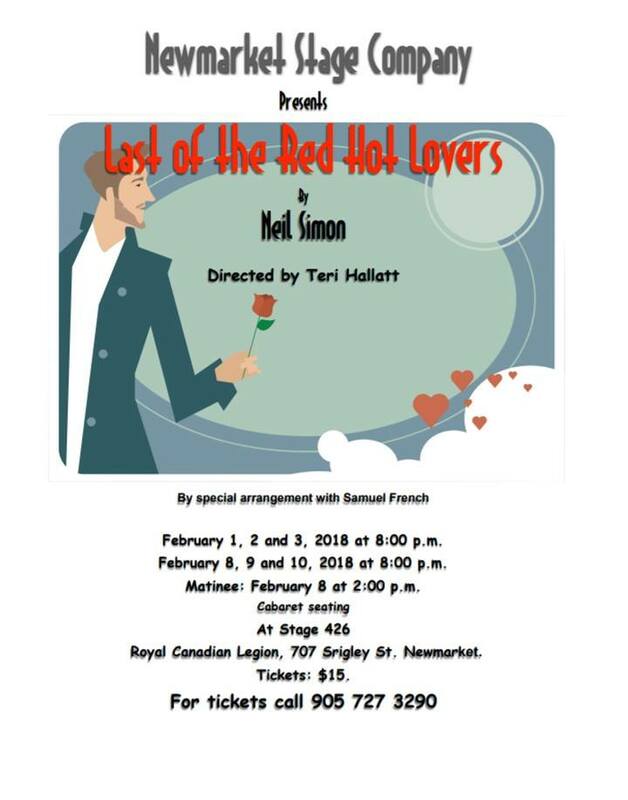 NSC presents “Last of the Red Hot Lovers” by Neil Simon, directed by Teri Hallat, February 1 to 10, 2018. Barney Cashman is forty-seven, happily married, the father of three children, a successful businessman, and a man going through a midlife crisis. Barney has come to the realization that his whole life can be summed up in one word: nice. And Barney has realized that “nice” simply isn’t enough. He wants to experience his secret fantasies and dreams at least once, and so Barney determines to have an affair. Performances: 8pm February 1,2,3,8,9 and 10, 2pm matinee February 8. Cabaret seating.